So you want to learn about importing wholesale so lets start with the basics, it is widely known that the basic fundamentals of business are supply and demand: You make money but supplying a product that has a high demand and not enough supply – ensuring your customers are willing to pay premium prices in order to own it. But despite this proven maxim, there’s a common myth that it’s possible to sell ice to Eskimos with the right strategies. Don’t believe it. Generally, you will find that it’s all but impossible to create a demand from scratch when you don’t have a multi-million dollar marketing campaign and professional marketing team behind you. Instead, importing from overseas and sourcing products for a low cost, and reselling them for a profit, is a much better and safer option. Who can Import Wholesale? ….. Anyone can! If you have never considered importing and believe that importing is very complex and high-risk then you’ll be pleased to know that this is not the case! You can very easily learn how to import goods and make the profits you’ve dreamed of. You can learn the simple secrets of locating overseas suppliers and manufacturers, importing goods and selling them for a good profit. You can even do it from the comfort of your own home! Importing isn’t difficult but it does require dedicated research and a willingness to learn from mistakes. Even with the best advice in the world, you’ll still wish you had done something differently the first time you give it a go. So how do you find a product with high demand? You need to either find a product that is rare in your country and thus in high demand, or, a product that is available where you live and extremely popular – but you can source it very cheaply from overseas and offer it on eBay or your own online store for a lower price than elsewhere. To find a high demand product, you must first increase your awareness of emerging trends and niche markets. But before you do, get rid of the common misconception that popular means eBay’s top 10 searches. This is simply not the case – popular doesn’t just mean iPods, digital cameras, cellphones and designer handbags. Popular does not mean that millions of people are searching hourly for the item. In reality, to make money online you only need a moderately popular item. As long as it has the potential for you to scale up to selling 50-100 a day – or however many you need to make serious money – then it can be successful. Think about it: stamp collecting and golf are extremely popular with thousands of people all over the world who collectively spend millions on them each year. Yet gold and stamp collecting are not in eBay’s top 10 searches! Instead, niche markets are where you should be focusing. To find them, start paying attention to newspaper headlines, magazine topics and new product releases. An article on smokers struggling to quit their habit, faux fur as an emerging fashion trend, new technology for improving golf swings – it’s all useful market information. When you are starting out it is advisable to choose goods that are light and small because freight will be your biggest cost. This means that the real cost of an item includes the freight as well. You might well be overjoyed at the sight of an item advertised for $1 a piece in China, but if freight costs you $10 per item your actual cost per item is $11. In same cases, this will rule out the viability of your idea and you’ll have to start afresh. One category we strongly advise against is designer goods. Almost without exception, all goods advertised as designer that are manufactured in China are fakes. On the whole, designers have their products made in Italy or France to ensure exceptional quality and they also often destroy left-over goods rather than sell them wholesale. Plus, if you get caught importing fake designer goods, you can face heavy penalties and even jail sentences. These categories are usually hugely over-subscribed anyway. In sum, designer goods are not the best way to make money unless you happen to have contacts in the industry. There is more money to be made by importing cheap, unbranded radio control cars for example, where you can make $30-40 off each one and shift 150 a week. Let’s look at the simple steps you will follow to import items to sell on eBay and anywhere else that you choose. Step 1: Research: Market research is paramount. You must be 99% certain the goods you import will sell, otherwise you will lose money. Step 2: Finding suppliers: The internet is a great way of finding excellent Chinese suppliers – however it is also full of fraudulent sites. You need to take time and care over authenticating suppliers that you find through general Internet search. Then contact the supplier and ask for a sample. 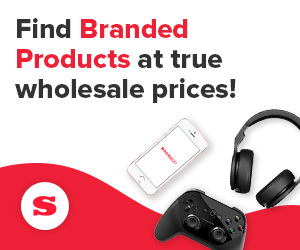 If you’re not already, consider becoming a member of SaleHoo and get instant access to over 8000 of the world’s most trusted wholesale suppliers. Step 3: Time to place an order, organize freight and make payment for both. You will also need to talk to a customs broker to make sure you fill in the correct forms. Step 4: You receive the goods: perhaps paying a customs fee. Of these four simple steps, the most important are the first two. Research is time consuming and can sometimes be frustrating, but without it, you won’t have a hope of making money. If you are working part time on importing, be prepared to spend a couple of weeks researching before taking any action. If you are fortunate enough to be able to devote yourself full-time to the course, this will take less time. Checkout the resources on the page, they have proven to help many others become successful at importing wholesale and gone on to make a real business out of it.